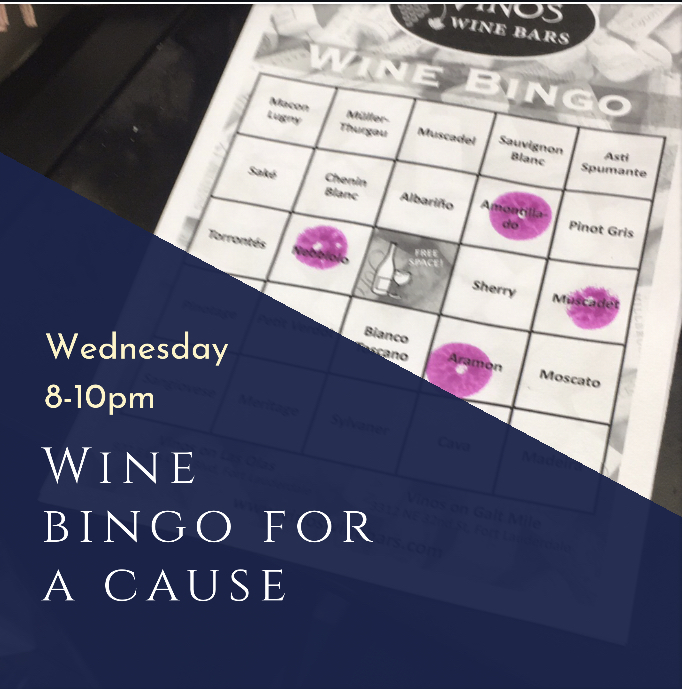 Join us at Vinos on Galt the first Wednesday of each month as we do our part to support local causes. From 8-10pm, anyone who wants to play is asked to donate $1 for each Bingo card. The winner from each round receives a gift certificate that can be used at either Ft. Lauderdale Vinos location and then calls the next round.